If a picture is worth a thousand words, then a meme or infographic must be worth a thousand likes, right? The use of visual content is crucial to the success of a social media marketing campaign and for encouraging fan engagement. You might be thinking to yourself, “Every link I share comes with its own image, so I’m good.” While it is true that most links you share have a thumbnail image attached, that is not enough to capture the attention of someone scrolling through their Facebook, Twitter or LinkedIn feed. Keep reading to discover tips for stunning social media images and more advice on how to make different types of compelling visual content. Here’s how to include compelling images in your social media marketing campaign. If your business already has a color scheme picked out, keep using those colors. Those two to four palette options should reflect your brand’s personality and be used throughout your social media pages and any other platforms or sites you use. The consistent use of colors will help establish your brand and allow for consumers to become familiar with it. You likely already have these fonts established on your website. As you create visuals, use the same fonts (or very similar ones) to give everything you create the same overall look and feel. Though imagery offers the flexibility to be different from the color and font rules, it should still be consistent to your brand’s theme. Whether you are using professional software, free tools or filter options from Facebook or Instagram, carefully pick which one fits your brand and does the image justice. 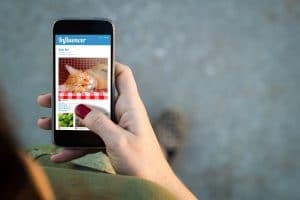 While most social media marketing platforms have specific locations for images, keeping the different channels as uniform as possible is important. This means Twitter, Facebook, LinkedIn, Instagram and Pinterest should all have the same profile picture and cover/banner image. The sizes for each platform might be different, but consumers will have no problem recognizing it as your page if you always use the same pictures. This positioning goes beyond your profile picture and cover/banner image, too. As you create and share visuals on your various social pages, think about how they’ll appear on each one. If you need to slightly modify the image to look cleaner and crisper, do it! The four most popular types of visuals for social media marketing are images, videos, infographics and memes. Follow these guidelines for your social media marketing images. Most article links you share on your social media marketing pages include a small image, but that is not enough to stop users from scrolling right on by to a bigger, brighter image. Check out these tips to attract readers to your content through compelling images. Bigger is Better: Whether you create the visuals yourself or find them online, make sure they’re as high-quality as possible. You want the images representing your brand to be crisp and clear, not blurry or with a bunch of pixels. Use Faces: Whenever possible, include faces in your pictures. Even if your readers don’t know the people in the photos, they’ll still be able to identify with them better than with inanimate objects. Take Your Own Photos: Give your followers a look into behind the scenes at your business, or go for a walk outside and take pictures of anything relevant to your industry. Invest in Photos: You may want to invest in a stock photo site membership. Some allow you to buy credits and purchase per photo that you need whereas others have subscription plans that allow you to download a certain number of pictures a month. There are websites out there that offer high quality photos for free, but you also to be careful about breaking any copyright laws. 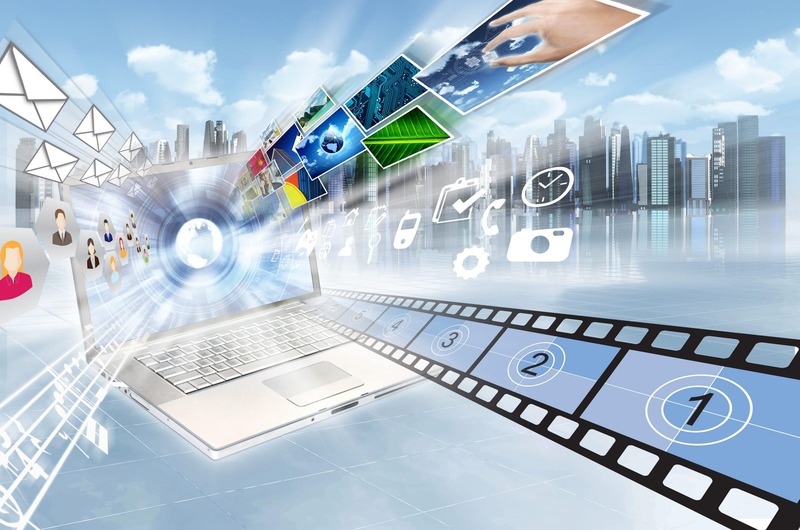 Follow these guidelines when using videos in your social media marketing campaign. 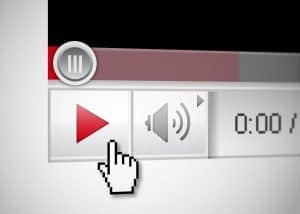 Here’s how to create simple videos for your brand. Come Up with Content: As you develop your video’s content, make sure you take the extra time to do some keyword research. By knowing which words and phrases are strong for SEO, you’ll be able to integrate them into your video so your description and tags are a natural fit later. Create Notes: Either write out a script or jot down the bullet points you want to cover. You want to come across in a way that makes sense in your video, without seeming scattered and all over the place. Set the Scene: Where are you filming your video? Make sure there’s enough light on whoever is the focus of the video, and double check the background is free from anything distracting. Think about what you’ll be wearing too; the overall appearance you’re portraying will play into your viewers’ opinion of your brand. Practice: Run through what you intend to say a few times out loud. Make sure you incorporate any gestures you want to include so you can tie them in seamlessly. Record: Whether you use a handheld camera, webcam or your phone’s camera, make sure it’s as clear and steady as possible (tripods are your friend!). Post-Production: Even if you’re not a professional video editor, you may want to do some light editing. Personally, I like to use iMovie and Adobe Spark to trim and edit the video just the way I want it. Plus, then I can add some background music to help reinforce the overall look and feel of the video. Upload and Share: YouTube is a fantastic site for uploading your video. Make sure the description shares what the video is about in addition to keywords and a link back to your site to increase website traffic. You can also embed your videos into blog posts and share them on your social media marketing channels for maximum exposure. Not sure you want to be in a video? There are other options too! For example, you could use a program like Adobe Spark to make a slideshow video. Here’s how to create infographics for your social media marketing campaign. One of the most efficient ways to share content and visuals is through an infographic, or a collection of information and facts displayed in an image. Infographics can be used to display all sorts of details, from important health information to comparing basketball stars or displaying the history of your favorite reality show. The possibilities are endless with infographics. Be Creative: One of the great things about infographics is that you can make them however you want. You can use any color combination, graphics, images and designs that you prefer. This is the time to display your content in a fun and creative way to get people reading. As we know, the use of images is likely to gain interest in your posts, but it is also a bonus if your image is yours. Infographics that are created in a fun and unique manner will also increase the likelihood of your information being shared. Think About the Flow: Like any chart or graphic, information that is sequential is best displayed in order. If posting about a period of time or events, the information will not translate if put in any other sort of order. Be consistent with the flow as well; stick to either left to right or up and down to create ease for the reader. Using arrows to transition your audience from one point to the next can aid in understanding as well. Don’t Use Unnecessary Graphics and Features: Yes, this is the chance to get creative, but too many extra features can take away from the content you are trying to tell. An extra cat or tree might look cute, but if it is not related to your content, it takes away from your message and just adds clutter to the infographic. If something is hard to read, people are not likely to put a lot of effort into trying. 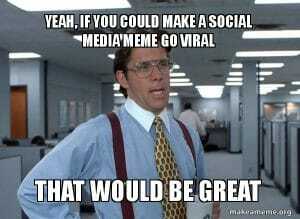 Consider using memes as part of your social media marketing. Make it Relatable: Memes have a wide internet reach because they are relatable to many sectors of the population, especially young people. When a meme uses humor, plays on a current event or trend and gets people talking, it can spread your name like wildfire. Taking advantage of shareable images can make a big difference in your social media marketing campaigns. Know Your Meme: Using a meme generator is a quick and easy way to create a humorous, informative or satirical image that your audience is sure to love. Before sharing, make sure you search the meme to know its history (you don’t want to spread content you aren’t fully versed with), have followed all applicable copyright laws and are sharing images that will resonate with your target audience. Include Your Followers: Part of why social media marketing is successful is because it makes your followers, fans and customers feel included in your business. Engaging on social media is a good way to start conversations, but you can also use memes to source your fans’ creativity. Hold a contest where followers create your next meme if you want to get them involved. Are you ready to add effective visuals to your social media marketing campaign? 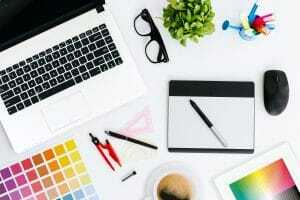 Knowing the rules of visual content and how to create your own puts you way ahead of businesses that are just putting anything on their social channels.